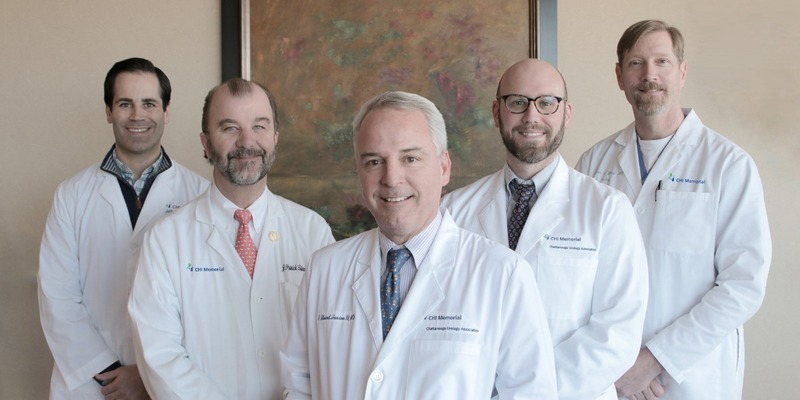 CHI Memorial Chattanooga Urology Associates is composed of physicians that specialize in the diagnosis and treatment of all areas related to the urinary tract and the reproductive area. This includes all age groups with disease or infection involving the reproductive tracts, kidneys, urethra, bladder, prostate and the male genitalia. Our urologists also treat kidney stones, infertility, impotence, cancer of the urinary tract and prostate cancer. CHI Memorial Chattanooga Urology Associates is fully equipped with the diagnostic tools to detect urological disease in its early stages. It is our goal to use these tools and our training in a preventative manner and to restore normal function and health to our patients. For more information, call (423) 697-0072.